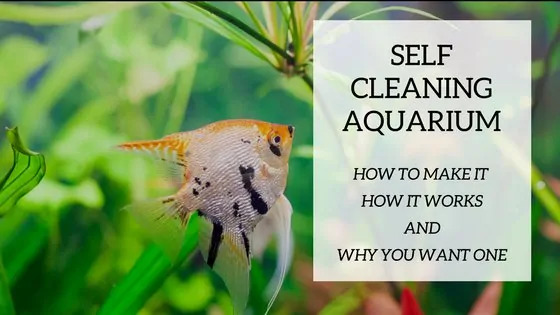 Morgan from The ExpertAquarist has 12 very useful hacks to share with FTW audience on how to keep the fish tank clean without the risks of large-scale cleaning and at a fraction of the time . Many would say it’s an additional task to clean the fish tank at the end of a hectic week. I agreed to that with all my heart and why wouldn’t I? It took me a total of two hours (if not more) to make my aquarium sparkling clean. But with some trial and error process, I end up finding some real hacks to keep my fish tank clean that is interesting to do and doesn’t feel like a “work”- bingo! 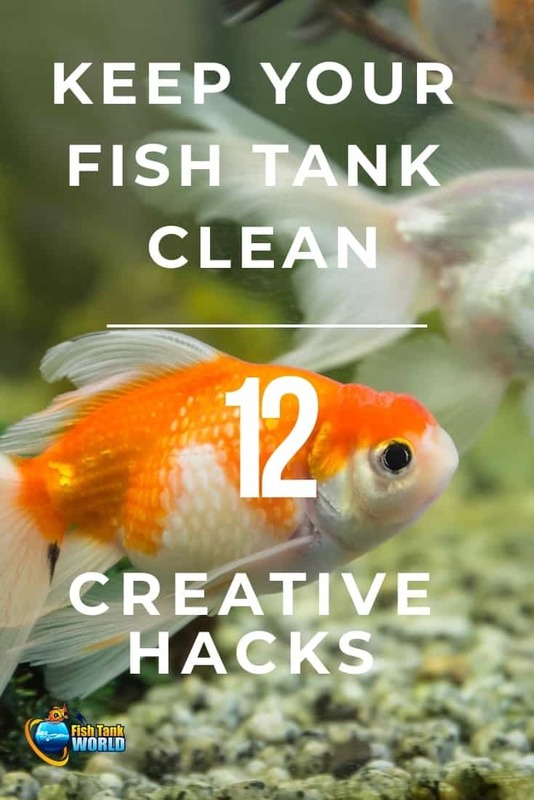 Just a gentle reminder, it can be fun and interesting when you are trying these hacks but make sure you are not over cleaning your tanks. What many people do not realize is that, there is a fine line between large-scale cleaning and optimum cleaning. Excessive cleaning may wipe out the beneficial bacterium that is necessary to convert the harmful byproducts of your tank into less harmful substances which, later, can be removed with water. Below I have mentioned 12 quick tips that you can do to reduce the risk of large-scale cleaning. 5. Make Some Magnetic Algae Scrubber Too! To check your tank parameters once a week, your first task is to buy an aquarium water test kit. When you are done with the testing, record the results and compare the results from week to week. If there are any significant differences – you will know that there is a problem and you need to take proper steps immediately without delay. Now, this can be debating, but I have my reasons. If you change 10% to 25% water every 2 weeks instead of doing whole water change once a month. Doing this moderate water changes, you are saving yourself a major time to do other things. To clean your tank completely you must need a gravel vacuum by your side. 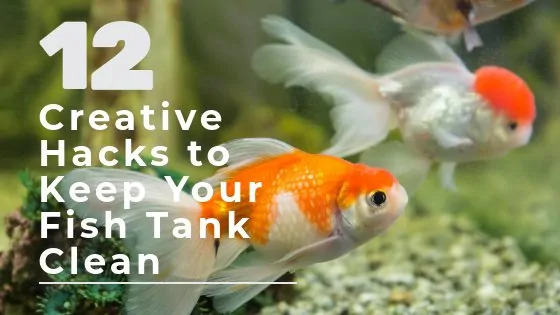 The gravel vacuum will pull out all the accumulated toxins, debris and solid wastes products from your tank and maintain a natural balance in your fish tank. It is, indeed, time-consuming to replace gallons of water from your fish tank every time you are cleaning it. If you own a large aquarium, then the hassle is huge. To make this task easier what you can do is prepare a DIY water exchange system with PVC pipes. The beauty of doing-it-yourself is that you get to customize this system according to the size of your tank with utensils that are available to you (you also get the satisfaction of creating something useful on your own, what on earth can beat that!). Since we are talking about DIYs, here is another amazingly useful substance you can make from scratch. Just purchase algae scrub pads from your local pet store (or online, if you are lazy like me) and attach a strong magnet to it using some fish-safe glue. You can now place the scrubber inside the tank and use another magnet to pull it around. Voila! Having any sort of plant in your fish tank is the easiest way to increase oxygen levels which in turn benefits the living conditions of your fish. I specifically mentioned Hornwort because it not only produces oxygen but also absorbs the harmful nitrogen from tank water. Thus you are creating a more superior living and breathing circumstances for your fish. Your fish will be whispering thanks to you. You may have decorated your fish tank with artificial colorful starfish, seahorse and stones. Over time, these pieces will accumulate algae and scale. Instead of scrubbing it piece by piece, what you can do is prepare a 10% bleach solution – soak your materials for 15 minutes in it – scrub it (the scale can be removed easily now) then rinse thoroughly with water before putting them back again. Carbon filter media helps to eliminate dissolved toxins from your fish tank water. However, carbon loses its toxins absorbing ability after 3 to 4 weeks. So you have to keep changing this filter media accordingly for the greater good. Moreover, if you want additional toxin-absorbing power, take some carbon filter inserts and put them in a cut off pantyhose. Hang this pouch in your tank and rinse weekly and replace it every time you replace your carbon filter media. Cleaning the fingerprints and water spots from the outer glass of your fish tank are equally important as cleaning the insides of your tank. Buy an aquarium-safe lime cleaner to clean your aquarium glass and fixtures. Rinse thoroughly with water before putting it back again. To clean your tank from inside you can introduce some specific species that eat algae. One thing to remember here is that you should only place those species in your tank which are compatible with your existing fish. If you have a freshwater tank, introduce Sucking-Catfish, snails and plecostomus. On the other hand, if you have saltwater tanks, introduce turbo snails, Tangs and hermit crabs. These will eat away all the algae you have in your fish tank. If you reduced the light your fish tank gets, the growth of algae will be reduced. Always remember, the more light your fish tank gets, the more algae it will grow. 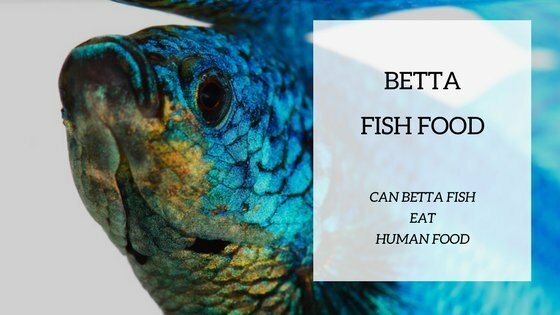 Every time you put some extra food for your fish (because you love them, I know), you are increasing the time you have to spend cleaning your tank. This is because the leftovers that float around raises the levels of toxic chemicals in water. The tip here is to watch your fish when they are feeding if they begin to slow down stop adding more food. The take away of this article is that you should understand that cleaning is an ongoing process that starts from the first day of you installing your tank. Of course, you will not be cleaning on the first day but the plan should be there. Depending on how you approach the tank, you might be able to easily reduce the number of times that you need to do the cleaning. We all hate cleaning but it is a must (sorry about that). Before we end, let’s talk about a few traditional cleaning strategies and not hacks. After all, the traditional methods help too. Use Quality Cleaning Supplies: You sure do not want to mess with the quality of the cleaning supplies that you are getting for the tank. When I say, ‘cleaning supplies’, I literally mean everything including the water, algae pad, bleach and filter media. Algae pad is a great way to clean the inside glass parts of your fishing tank. You can use the regular cleaning materials to clean the outer parts but when it comes to the inner areas that your fishes will have access to, algae pad is the way to go about it. Many people worry too much about cleaning the inner parts of a tank that they forget about the outer layers. That’s a big mistake. After all, why do you buy a fish tank at the end of the day? You buy a fish tank because you want your home to look better. If the fish tank is clean inside but poor on the outer end, it doesn’t serve your core purpose. That’s why it is very important to clean the outer layers too. Fortunately, it is way easier to clean the outer ends of a fish tank. Take a regular cloth and rinse it with water (or glass cleaner). Then gently use the cloth to clean the outer layers of the fish tank. Note that this will only be a wise option for the glass parts of the tank. If you have a top portion which is made with wood or something other than glass, you will need to use a hard cloth or even a handheld vacuum will work fine. The top layer of a fish tank will always attract more dust than the side layers. I would recommend removing the dust of the top layer at least one time a week (like you do for the other furniture of your home). Remember one thing; all these hacks will only help you if you use them on a routine basis. Aquarium cleaning is a whole lot of work if you want to do it once in a month, but if you do it weekly or biweekly, things get easier. So schedule your aquarium-maintenance-routine accordingly, and love your fish more!